Aspire 14 Black - National Champions! 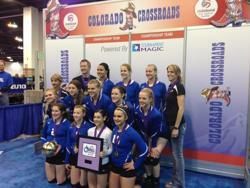 ASPIRE TEAMS COME UP BIG AT USAV NATIONALS WITH 5 TOP-TEN FINISHES AND ANOTHER NATIONAL CHAMPION!! Incredible performances! Great coaching! Awesome players! Congrats!!! Congrats ladies for a great end to the regular season. Good luck at Nationals! Another stellar weekend for Aspire teams. 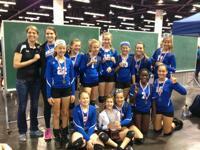 12 Black travelled to Anaheim and conquered the American Division by dropping just one set before winning it all. All told, that is 10 Junior Nationals bids won by Aspire teams - with 4 being turned back to their regions. Aspire's 14 Black finishes regular season as top team in Championship (regardless of age) after winning Division I tournament. 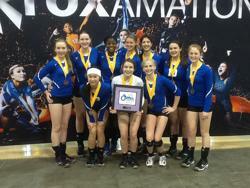 15 Nationals take Division II championship and 13 Black take Division III championship. Great job to all coaches and players! BANNER WEEKEND FOR ASPIRE AS 6 TEAMS EARN NEW BIDS OR UPGRADE FORMER BIDS TO JUNIOR OLYMPICS! Aspire teams have earned an unprecedented total of 9 bids to Junior Olympics. After returning three bids to the Arizona Region, 6 teams have booked tickets to Dallas. Congratulation to all players and coaches for a job well done! Aspire's 13s through 15s teams travel to Colorado Crossroads National Qualifier and earn an incredible 3 bids to the Junior Nationals highlighted by the 14 Black team's 1st Place finish in the USA Division. Great results for all teams. Congratulations to players and coaches for a dominating performance! The Inaugural Disney Volleyball Showcase Tournament of Champions has extended 16 invitations to national champion teams across the country for this elite Open Division National Qualifier in the 15U age. Last year's Aspire 14N Black is one of the 16 teams honored with this invitation. 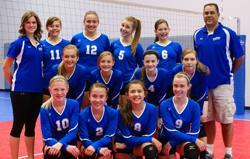 Last year's 13N Black has also been invited to participate in the 14U age. 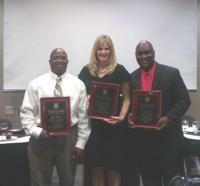 Congratulations players and coaches. And have fun in Orlando!! 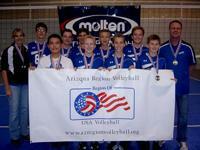 Aspire is entering its 3rd year as home to Special Olympics of Arizona Unified Volleyball teams. This season's kick-off saw the ASU Women's Volleyball Team join with dozens of Aspire players to hold a clinic for Special Olympic Athletes. Special Olympics Unified Volleyball is a sport in which Special Olympic athletes play on a court alongside non-intellectually disabled "partners" to form a special team and a special bond. Special Olympics Unified teams will practice at Aspire weekly in preparation for the Arizona Special Olympics State Games, the Arizona Festival and the USA Volleyball Nationals in Kentucky. Aspire players and coaches will be partners on these teams and compete alongside these special athletes. Aspire is proud of its commitment to Special Olympics and proud to witness the enthusiasm and dedication displayed by its players and coaches. Congratulations to Aspire's 14N Black for winning the American Division Gold Medal at the USA Volleyball Junior National Championships, beating out 47 elite teams from around the country. Our players and coaches did an incredible job. We still have 1 available spot in our 17/18s program. Please email info@aspirevb.com to set up a private workout. Aspire is proud to announce that Grand Canyon University (NCAA Division I) Head Women's Volleyball Coach, Kristine Naber, is now a member of the Aspire Coaching Staff. Coach Naber, who is entering her 19th year as the GCU Head Coach will be working with Aspire's top 16s, 17s and 18s teams to make sure they are ready to play at a collegiate level. Welcome Coach Naber! 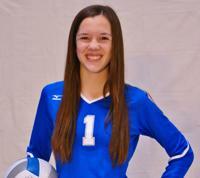 Congratulations to Shelby Babcock - Aspire 17 Black - for committing to New Jersey Institute of Technology, Division I Independent. 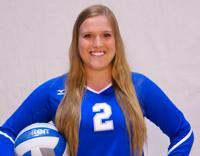 Congratulations to Madison Bickle - Aspire 18-Black - for committing to Fort Lewis College, Rocky Mountain Athletic Conference. 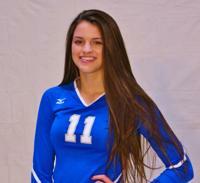 Congratulations to Veronica Fabiano - Aspire 17 Black - for committing to California State University East Bay, Pacific West Conference. 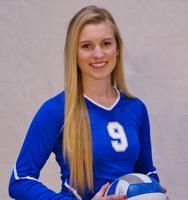 Congratulations to Brandy Grant - Aspire 18 Black (2011 and current coach) - for her commitment to Grand Canyon University Sand Volleyball, Western Athletic Conference. Congratulations to Kayla Greene - Aspire 18 National - for her commitment to Presentation College, Upper Midwest Athletic Conference. Congratulations to Piper Heineck - Aspire 17 Black - for committing to the United States Air Force Academy, Mountain West Conference. Congratulation to Jennifer Long - Aspire 18 Black - for committing to Central Methodist University, Heart of America Conference. 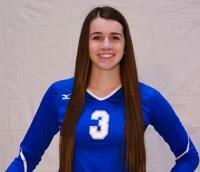 Congratulations to Kaysee Pilgrim - Aspire 18 Black - for committing to Western New Mexico University, Rocky Mountain Athletic Conference. 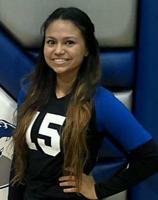 Congratulations to Stephany Purdue - Aspire 18 Black - for committing to the University of Southern Mississippi, Conference USA. Congratulations to Morgan Sorce - Aspire 18 Black - for her commitment to San Diego Christian University, California Pacific Conference. 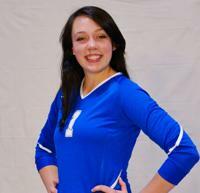 Congratulations to Michelle Steagall - Aspire 18 Black - for committing to Winthrop University, Big South Conference. Reigna Johnson - Aspire 18N Black Middle Blocker has committed to playing for Chaminade University's volleyball program [NCAA Division II - Pac West Conference]. 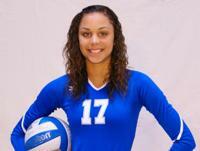 Congratulations Reigna, we are proud of you and hope to all go watch you play in Hawaii for the Silver Swords - Aloha!! Congratulations to Aspire 18N Black Middle Blocker Alexis Nelson for committing to the Northern Michigan University Wildcats volleyball team [NCAA Division II, Great Lakes Athletic Conference]. We are very proud of you! 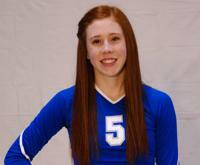 Congratulations to Justine Ackie - Aspire 18N Black setter - for committing to the Chadron State, Nebraska volleyball program. [NCAA Division II, Rocky Mountain Athletic Conference]. Way to go, Justine, we are very proud! Congratulations to Aspire 18N Black Opposite Hitter Michele Langskov for committing to the Garden City (KS) Community College Broncbuster ladies volleyball team. Way to go, Michele, we are very proud! Congratulations to Aspire teams who dominated this past weekend's IceBreaker Tournament. In the 14-Open Division, Aspire went 1-2-3 with 14 Black, 14 National and 13 Black teams leading the way. 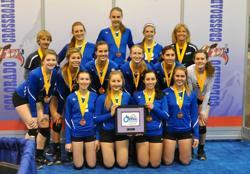 In the 16-Open Division, Aspire's 16 Black went undefeated for the tournament. Great start to a very promising season! Congratulations to Brooke and Lauren from Aspire's 13 Black for winning the One Beach New Year's Kickoff 14U tournament. Hailey Dirrigl (Aspire 14 Black) played on the Silver winning team and Grace and Anna (Aspire 13 Black) took 3rd Place from a pool of 18 teams. Congrats ladies on a dominating beach performance! Congratulations to Aspire's Kaitlin Shroll (17 Black) for being selected First Team All-State Division IV and to Rachel Fagerburg (17 Black) for being selected to the Tempe All-City Team. And congratulations to all the State Honorable Mention players: Hailey Harward, Kasey Kiefer, Jennifer Long, Sydnie Martindale, Stephany Purdue, Katie Porter and Michelle Steagall. 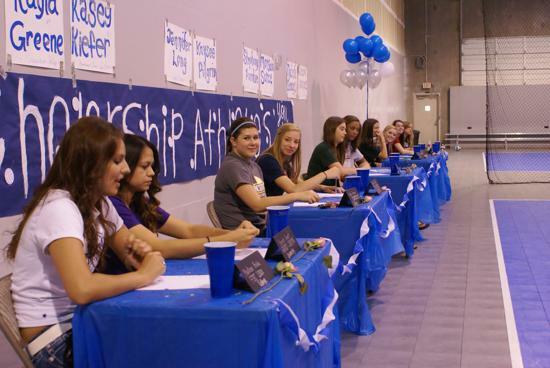 We are proud of all of you for your High School accomplishments! Congratulations to Aspire girls and boys coach, Beth Nuneviller, who this past weekend was inducted into the Arkansas State University Hall of Honor. 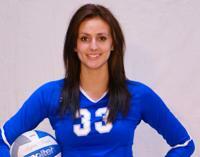 Beth is only one of four other ASU volleyball players to receive this honor. Way to go, Beth. We are proud! 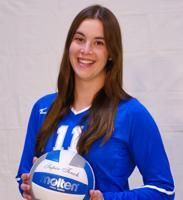 Hailey Harward, 5-9 OH, Desert Vista (Phoenix, Arizona) – A phenomenal athlete, Harward stepped into a starting role on one of Arizona’s top teams and finished second in kills (231; 2.2 per game) while adding 139 digs. She was named to the All-Tournament Team at the Westwood TOC, team Most Improved Player and Honorable Mention All-State in Division I.
Olivia Hallaran, 5-10 OH/RS, Hamilton (Chandler, Arizona) – Blessed with great poise and maturity, Hallaran fit in very well with a senior-laden team that was in the national rankings all year. 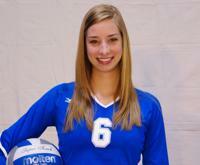 She averaged 1.7 kills per game playing on both pins and added 29 aces and 23 blocks for a 38-5 team. She showed glimpses of a bright future by contributing four blocks and two kills in Game 4 of the state semifinals versus Xavier College Prep, a match Hamilton would lose in five sets. Congratulations to Taylor Porter, Taylor Jacobson, Niki Crowe and Reilly Babcock for winning the 12U division of the Ahwatukee Festival of Lights Sand Tournament. What makes their win so amazing is that they played the fours tournament with only three players, Reilly cut her foot before play started and could not participate. Way to go girls!